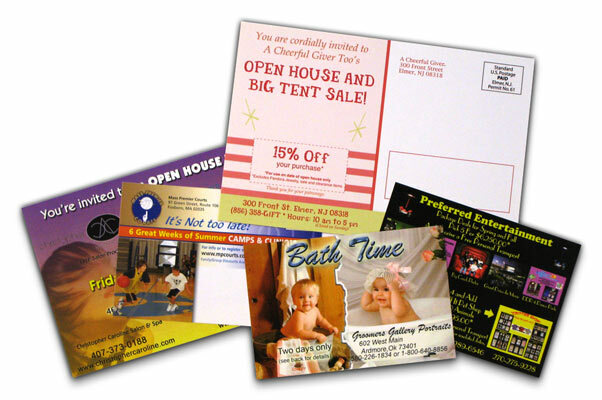 Home » Direct mail, Marketing & Communication Strategies, Print Products & Options	» What are the standard dimensions of postcards? If you’ve ever wanted to get some postcards printed, you’ve probably thought about or wondered about the standard dimensions of postcards. The standard dimensions of postcards are generally 4 x 6-inches or 5 x 7-inches. But, most printing companies are able to accommodate many different dimensions of postcards, depending on the design. This article is designed to help you better understand what the standard dimensions of postcards are. If you’ve ever received a postcard from someone in the mail, you’ve probably noticed how small and compact they are, compared to a normal sized letter or envelope. The great thing about postcards is that they’re able to convey lots of information in a clear and compact way. They make perfect refrigerator decorations, and they’re an easy way for you to send someone a quick note from a faraway place. Where can I get standard dimensions of postcards? The best place to get printing with the standard dimensions of postcards is from an online printing company like MGX Copy. That way, you can rest easy, knowing you’ve chosen a printing company that has a proven track record of quality and service. Plus, you’ll also get postcards with whatever dimensions you like, at a price up to 85% lower than what you’d pay on Kinkos printing prices. No matter what type of dimension you’re looking to get your postcard printed with, contact us today to speak to a customer service representative about your postcards. And if you need your postcards printed and shipped quickly, be sure to take advantage of the Rush Critical shipping option. When you need orders fast, Rush Critical gets them to you fast. Orders are generally printed and shipped out to you same-day/next-day. It’s the absolute fastest online printing service available in the United States! Contact us today to get your standard dimensions of postcards!